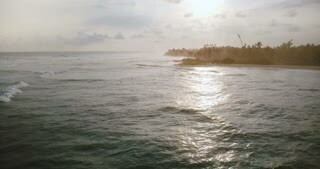 Drone flying high over incredible ocean surface reflecting sunset and waves reaching coast line. 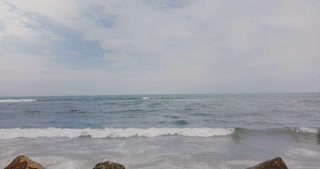 Paradise beach view. 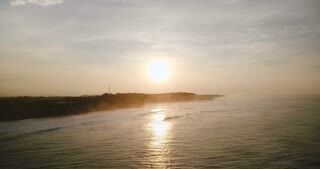 Drone moving up and forward above waves reaching shore to reveal amazing open ocean panorama and epic cloudy skyline. 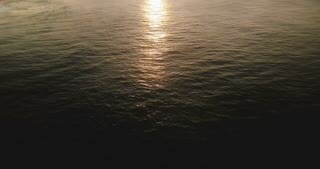 Aerial shot of epic sunset reflection in ocean water surface, camera tilt up to reveal amazing tropical coast skyline. 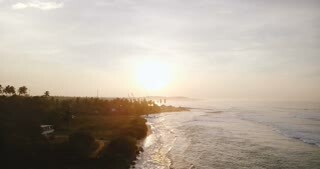 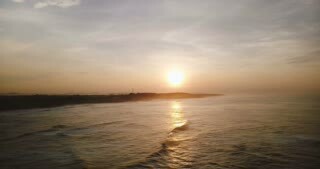 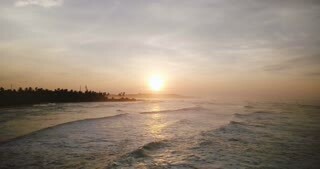 Drone flying forward along breathtaking tropical sunset beach, white foaming ocean waves breaking at amazing coast line. 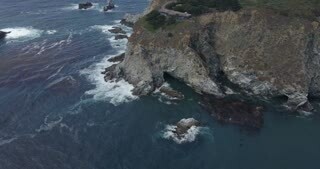 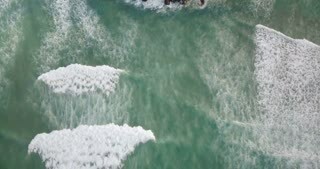 Drone flying right over epic foaming waves breaking, reaching ocean shore. 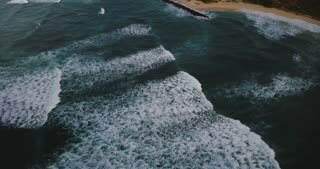 Amazing aerial view of blue ocean and beach. 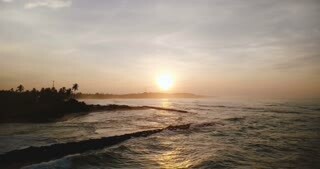 Drone flying forward along incredible exotic tropical sunrise beach, waves reaching coast line and crashing with foam. 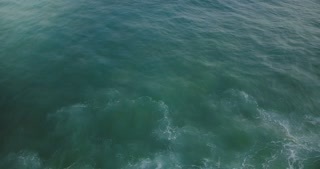 Drone flying backwards behind an ocean wave over amazing natural seafoam texture of blue and mint green rising up.